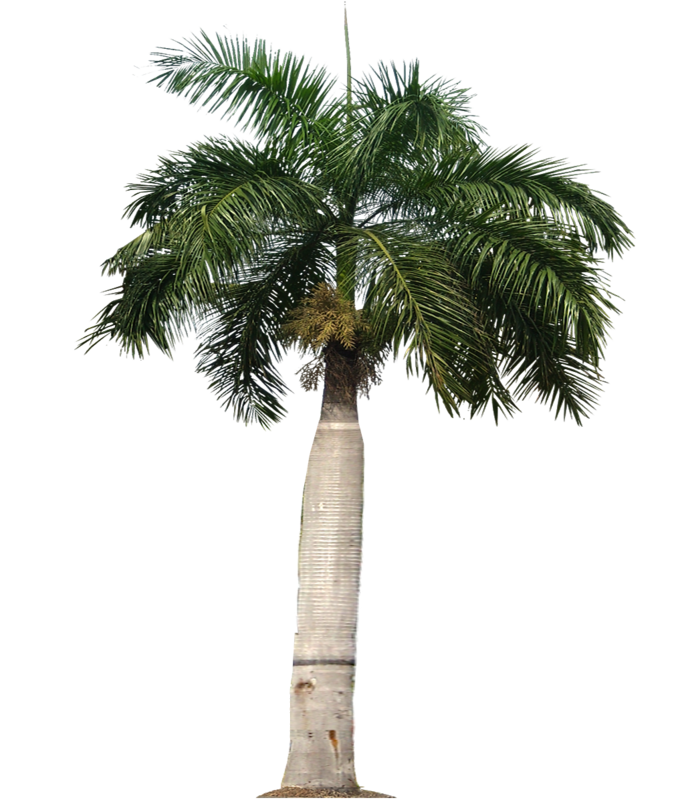 Roystonea is a genus of large, unarmed, single-stemmed palms with pinnate leaves. The large stature and striking appearance of a Roystonea palm makes it a notable aspect of the landscape. The stems, which were compared to stone columns by Louis and Elizabeth Agassiz in 1868, are smooth and columnar, although the trunks of R. altissima and R. maisiana are more slender than those of typical royal palms. Stems often are swollen and bulging along portions of their length, which may reflect years where growing conditions were better or worse than average. Leaf scars are often prominent along the stem, especially in young, rapidly growing individuals. Stem color ranges from gray-white to gray-brown except in R. violacea, which have violet-brown or mauve stems. The largest royal palm, R. oleracea, reaches heights of 40 metres (130 ft), but most species are in the 15 to 20 m (49 to 66 ft) range.